The species is found in temperate Europe, Asia and North America. Armenia is inhabited by nominate subspecies, which has occupied almost entire country, occurring in wide variety of open habitats and woodlands at elevations from 400 to 3000 m a.s.l. The Red Admiral uses wide variety of host-plants, which include Urtica spp., Parietaria spp., Carduus spp., Humulus spp., and Cirsium spp. The species gives one to two generations per year having butterflies on wing from mid March till late October and even early November. While part of the butterflies hibernates, some portion migrates to the South for overwintering. The species is uncommon to rare within typical habitat, and shows stable population trend during 2003-2013 (p>0.05) although with quite strong fluctuations. 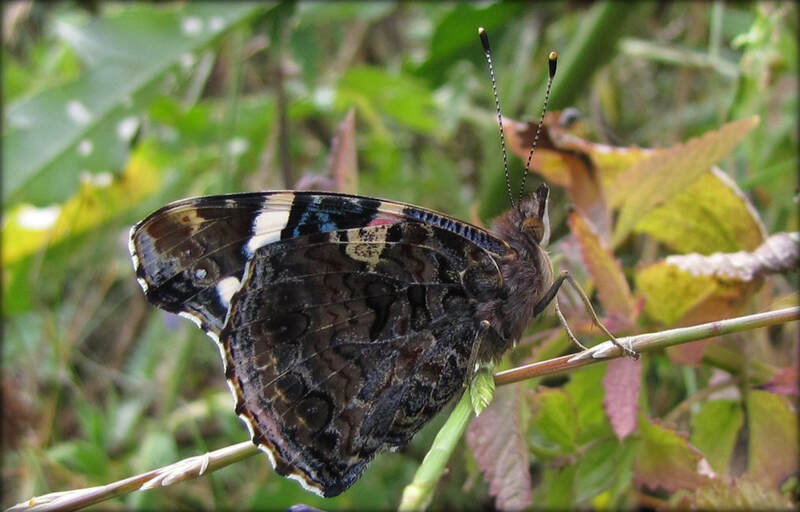 It appears that high level of Red Admiral's adaptability, as well as the fact that most of its host-plants are not eatable for the livestock, allow the species to survive human pressure and load on the grasslands. The species is not included in the Global and National Red Lists, as well as in CITES and Bern Conventions. In European Red Book it is listed as Least Concern, and apparently deserves the same status for Armenia. It occurs in all the protected areas, Emerald Sites and Prime Butterfly Areas, and obviously there is no need for special conservation measures, however it is important to continue tracking of its population trend.